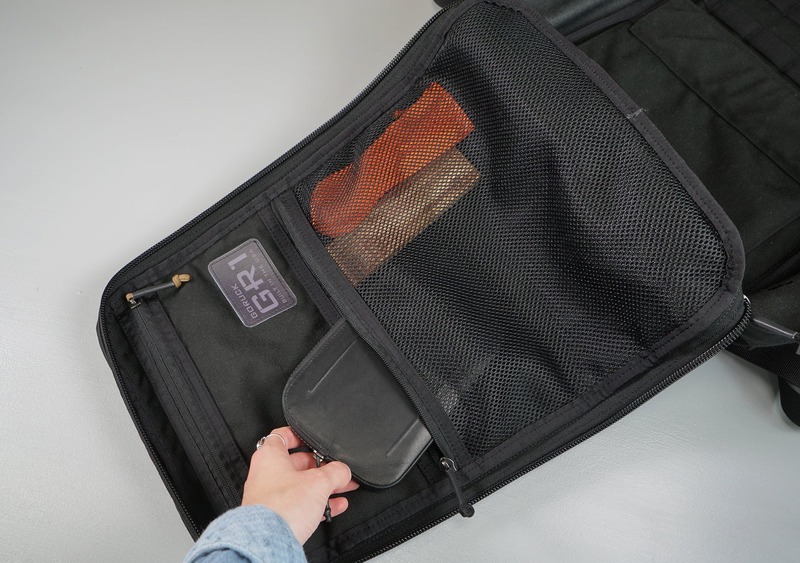 The GORUCK GR1 is a medium-sized travel pack that can handle just about anything you might want to throw at it. With its simple design, precise craftsmanship, and durable materials—it is built to last. And while we do love it, the heavy weight and high price can be hard to swallow. 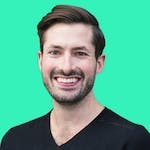 Subscribe to Pack Hacker on YouTube and never miss a video. 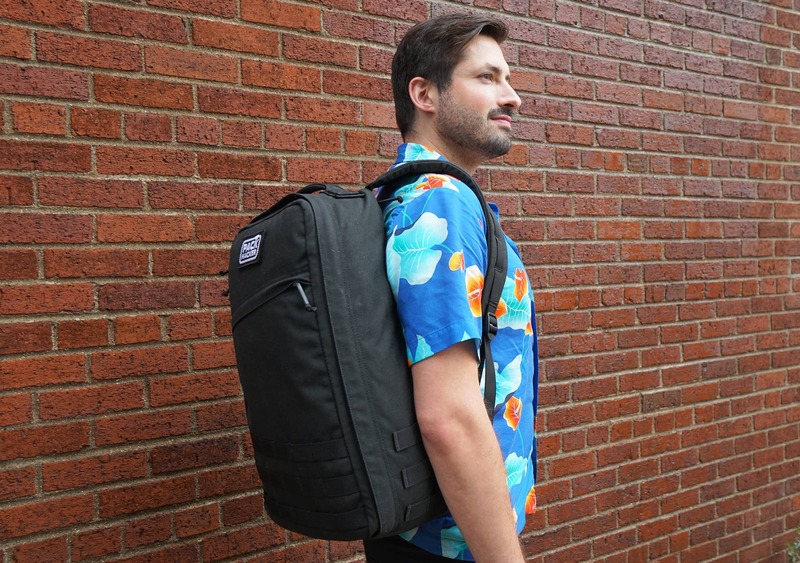 Simple, highly durable, epic-warranty-covered, expensive, backpack. What do all of these words have in common? They can all be used to describe the GORUCK GR1. 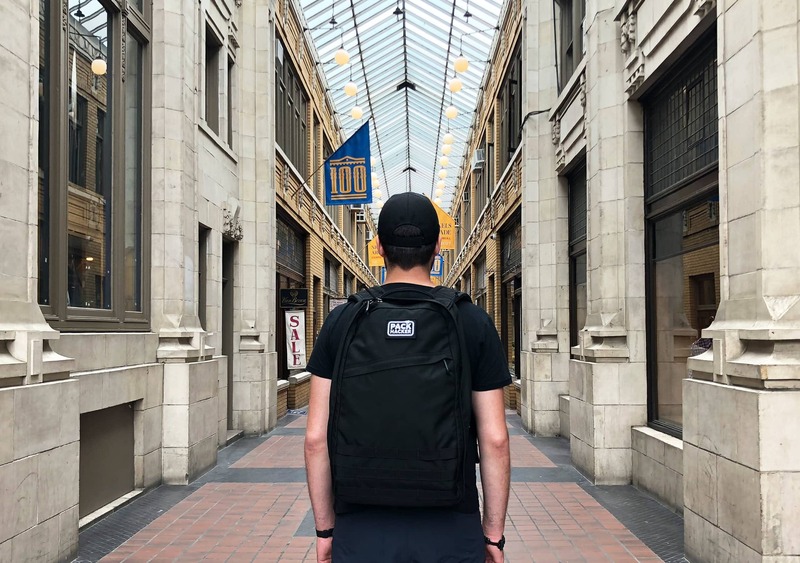 The GORUCK GR1 kind of blurs the line between travel backpack and daypack. At 26 liters, we think it’s a pretty great option for a weekend bag, although some super-minimalists could probably use it as a one bag travel pack. It offers a lot of the things we have come to know and love from the GR2 and GR3, and overall we’ve really enjoyed testing this thing out. 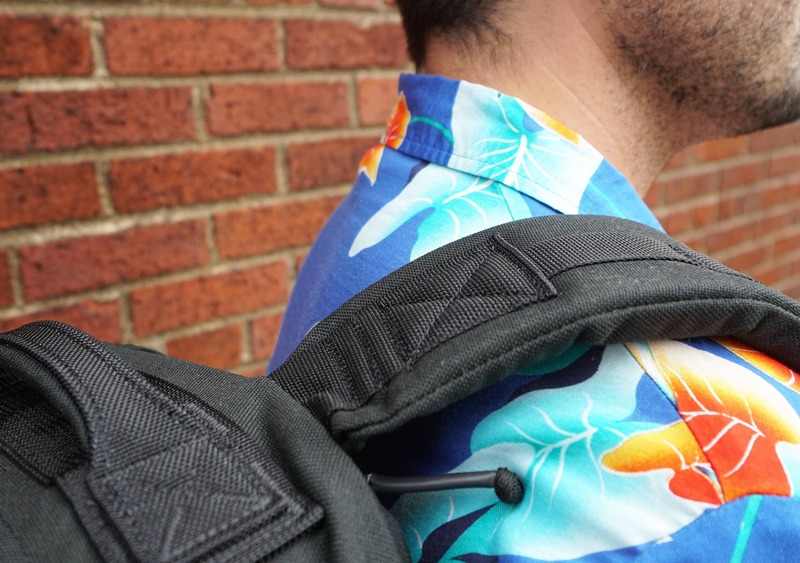 And as you’ve probably figured out by now, it’s the backpack we’ll be talking about in this review. 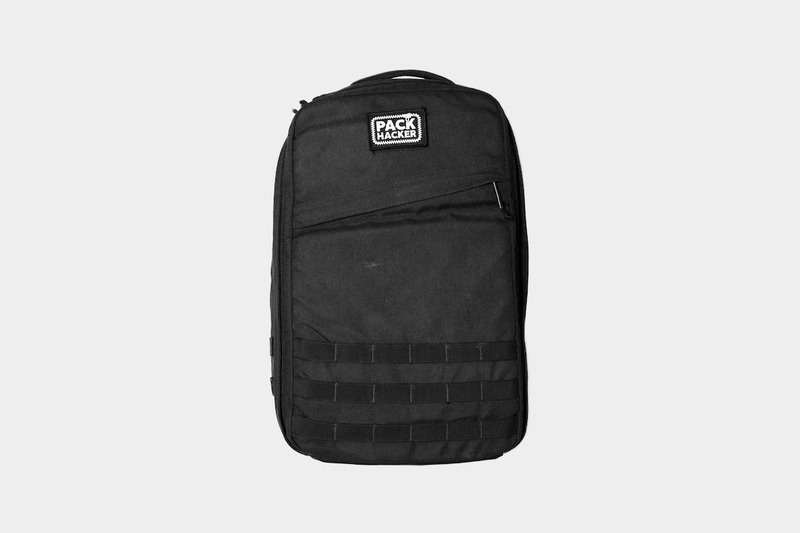 For those who might be unaware, GORUCK is a backpack brand with a pretty interesting history. The company was started by a former Green Beret and they have some pretty extensive military roots (which you can kind of tell just by looking at the bags). They also lead “rucking” events all across the US, where people train by running up mountains while carrying shockingly heavy weights in their backpack. Yeah, seriously. While we have yet to get involved in these rucking events—we tend to stick to our coffee shops and laptops—we’re pretty sure that any bag capable of hauling hundreds of pounds up mountains on a regular basis is going to be a good option for long-term travel. Diving right into the colors, the GR1 comes in a variety of grays, greens, and camouflage. 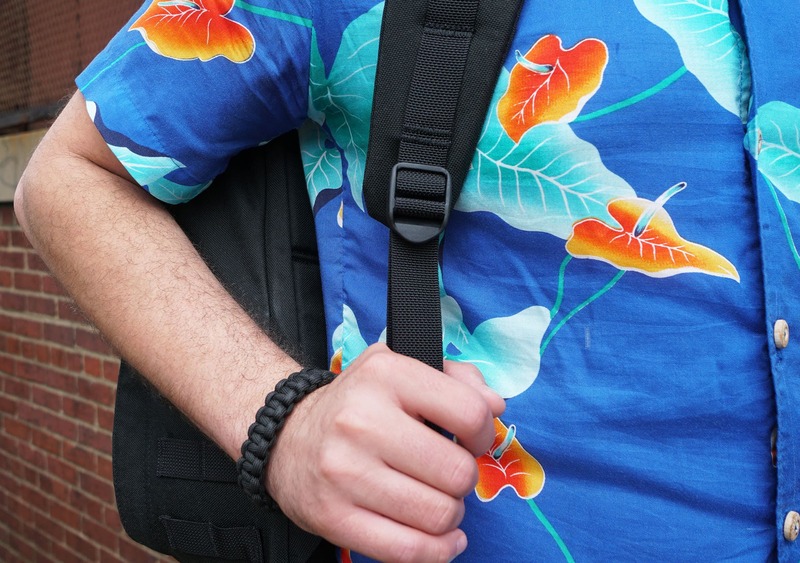 The reason we say it comes in a “variety” of colors is that GORUCK is constantly changing up their colorways, so depending on when you’re reading this review there might be some different colors on their site. At the time of this review, it is only available in Black and Ranger Green. The black will always be a mainstay—and our choice, of course—but the other colors tend to be some combination of what we listed above. This pack offers a subtle “tacticool” look that’s reinforced by three rows of MOLLE on the bottom and sides. However, it still feels pretty streamlined, which we like. You don’t have a ridiculous amount of straps and MOLLE on the exterior either. We did poll our Instagram audience to get their thoughts on the look of this bag—like we always do—and the results came in with a resounding 77% in favor and 23% not in favor. Seems to be pretty clear that a majority of people—or, a majority of our audience—like the look of this pack. We tend to agree with you folks in the majority. This thing is slick. 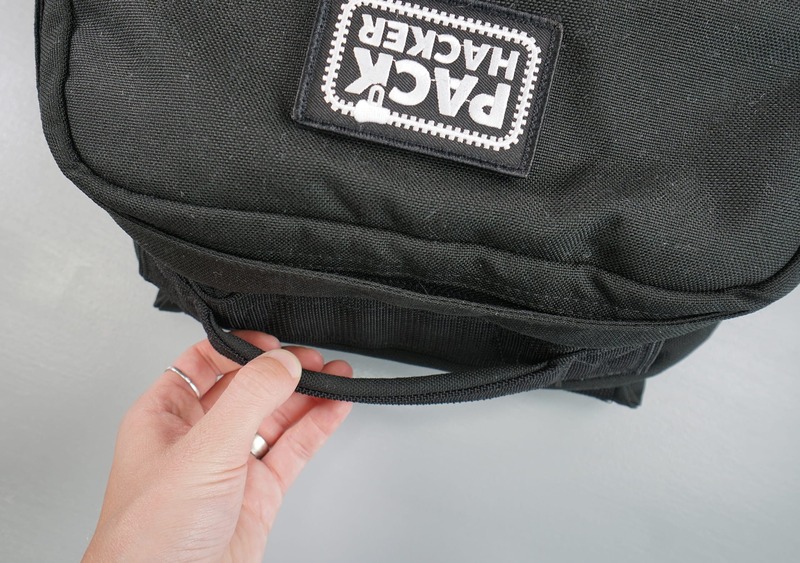 There is no external branding on this pack; however, there is a small velcro square on the top that you can use to brand it with a patch of your choosing. 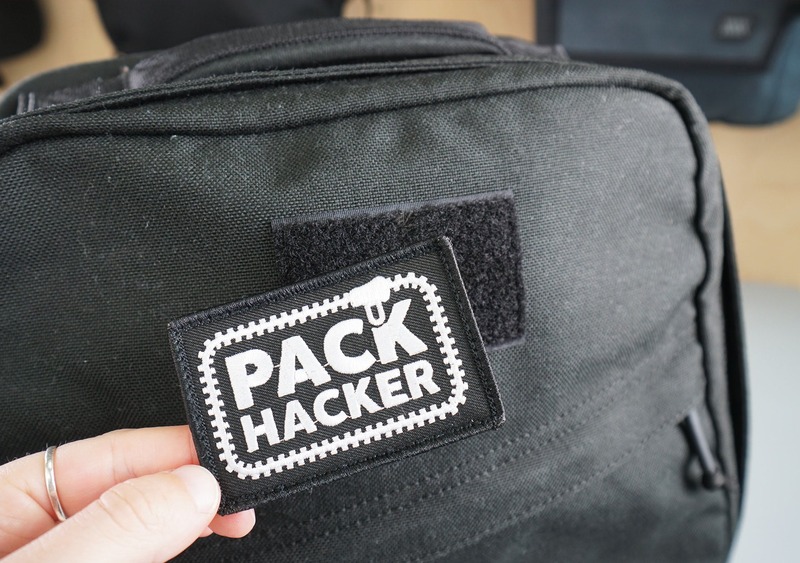 (We’re obviously repping a Pack Hacker patch on ours!) One thing to note is that there is a small rectangular cut in the velcro to represent the American flag, which will be visible if you don’t have a patch on there. GORUCK products are all built in the U.S., hence the flag outline. 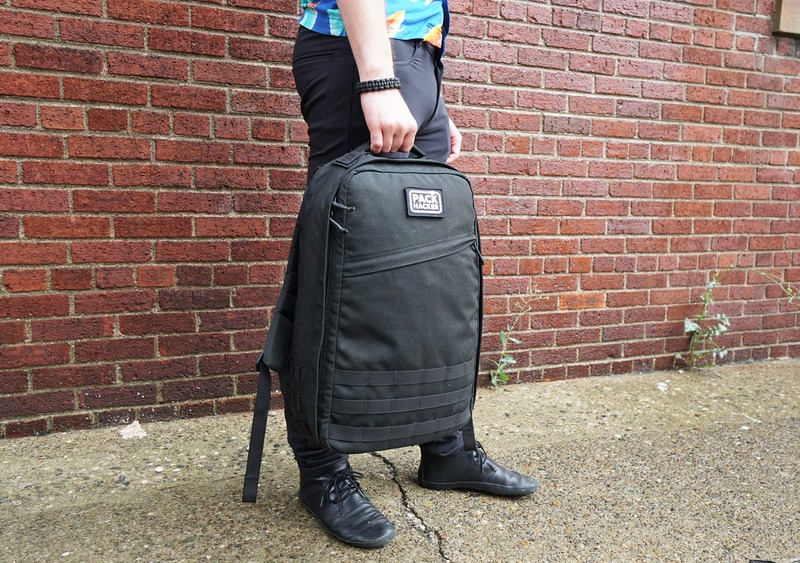 GORUCK is known for using very durable materials on all of their packs, and this one is certainly no exception. There is some 1000D CORDURA® nylon across the entirety of the pack, as well as large YKK zippers throughout. The zippers aren’t AquaGuard—arguably, there could be a little bit more weather resistance there—however, they are reverse coil which will help keep out dirt and grime. 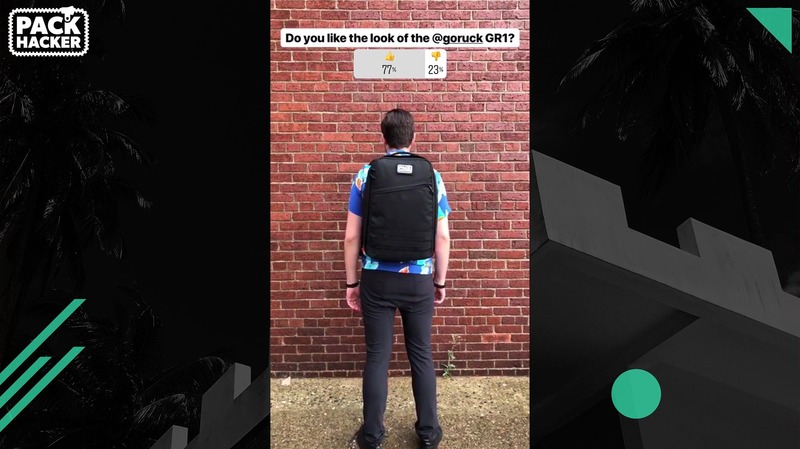 This is especially important if you’re going to be using this for one of their rucking events! They’ve also chosen Duraflex hardware which we’re happy about. To summarize: the materials on this pack are some of the best out there. 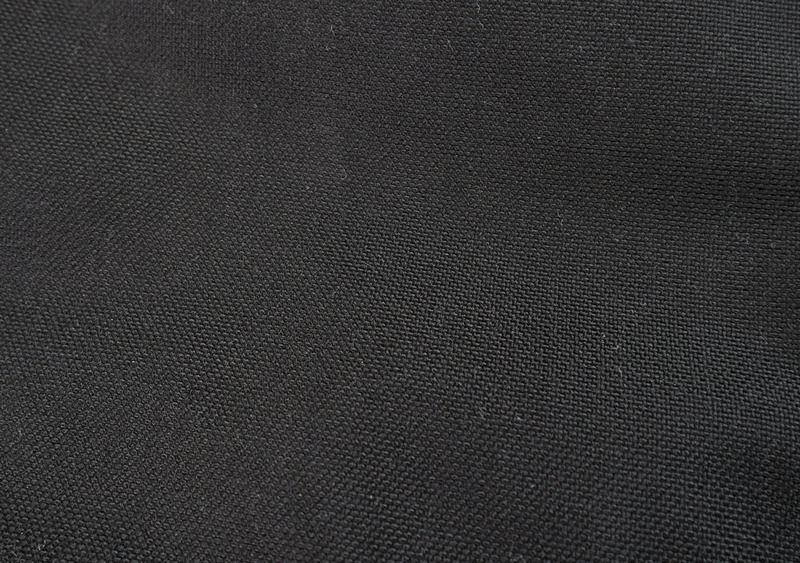 The nylon is extremely resistant to rips, tears, and abrasions, and the zippers are pretty much the best on the market. The only downside is that it’s not a terribly weather-resistant pack. Looking at the exterior of this bag, we’ll start off with the top handle. This handle might look a bit thin, but there’s actually a perfect amount of padding to create a comfortable grab. No frills, it’s a handle that works—which is kind of like a metaphor for this pack… Whoa. Now, let’s talk MOLLE. On the bottom of the pack, there are three rows and six loops of MOLLE. Each side also has three rows and two loops. This is great for any MOLLE-based accessories that you want to attach to the outside of the pack—like hip belts, water bottle pockets, or additional exterior pouches. And while GORUCK makes a lot of MOLLE-based accessories, you are by no means limited to their products. Pretty much any MOLLE product will work with this pack. We also have to say, there is just something about putting on a GORUCK bag that feels different than a lot of other packs. These straps seem to offer a unique feel compared to some of the thinner EVA foam straps we’ve tested, and it just feels very “solid” on your back. Hard to describe, but once you put one on you’ll know what we’re talking about. 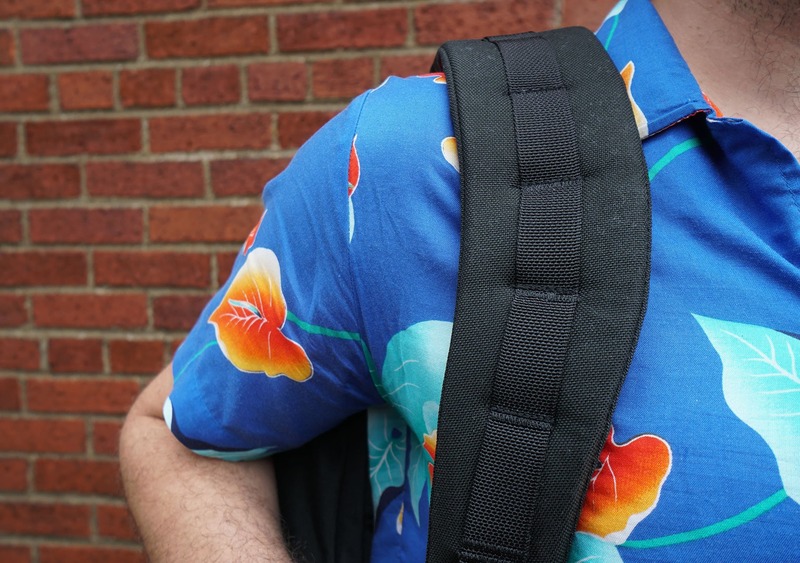 The whole bag has a great carry, but it really starts with these straps. You won’t find a hip belt on this pack when you take it out of the box, but there is an option to buy one separately and attach it with the MOLLE on the sides, if you’re looking for it. You should keep in mind that the 26-liter version—which is the one we’re testing—sits two inches lower than the 21-liter version. So, if you really want a hip belt you might want to consider the larger version since it sits a bit lower. Especially if your torso is a tad longer. And speaking of not having things, you’re also not going to find any load-lifter straps on this pack. There is, however, some heavily reinforced stitching where the strap attaches to the pack (where you’d normally find the load-lifters). We’ve found this to be totally fine, there’s really no need to have load-lifter straps on a pack this size. Plus, the way the bag is constructed it tends to sit pretty close to your back as is. And the last thing this bag doesn’t have is a heavily-padded back panel—it’s just that 1000D CORDURA®, split into nine sections. Unfortunately, you’re going to have to embrace the sweaty back with this one, although the way these are split up does provide a teensy bit of airflow. 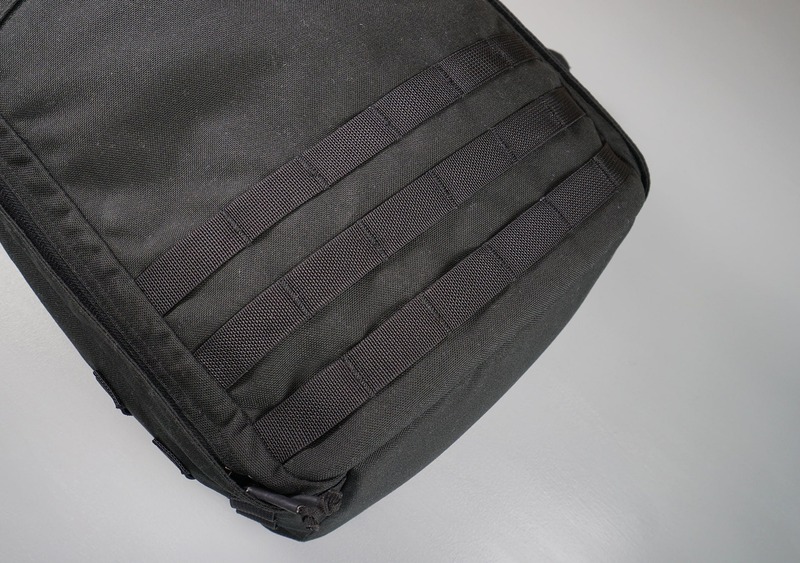 Moving on to the inside of the pack, we’ll start with the reinforced laptop compartment. 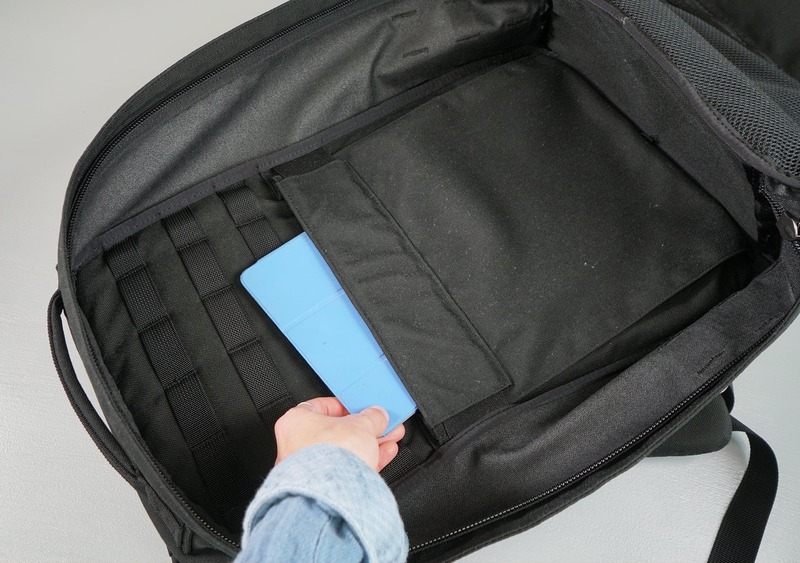 This consists of a half-zipper compartment that is in the traditional “laptop compartment area” of the pack—basically, right up against the back panel. The way this compartment is arranged, it allows you to slip your laptop inside pretty easily. 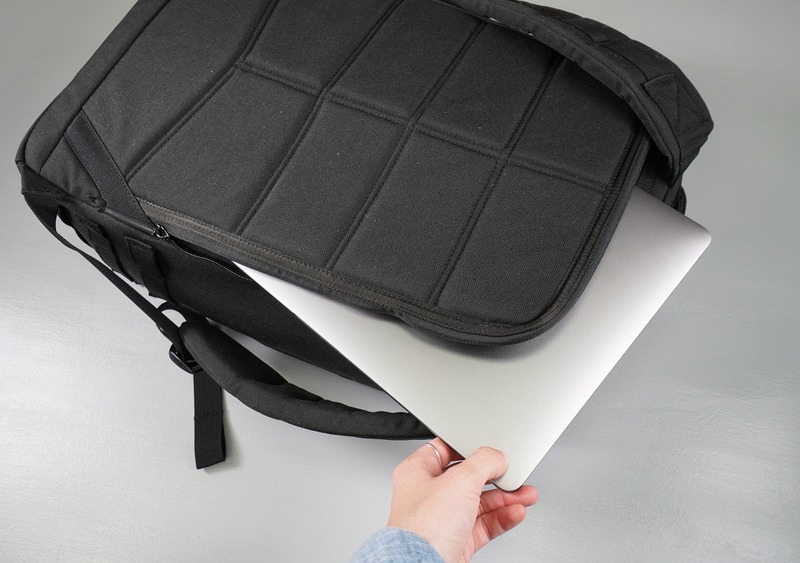 It also has a false bottom, so your laptop can’t go all the way down to the bottom of the pack—meaning that if you drop your pack, your laptop will be protected from that impact to the ground. We love to see this, and it’s becoming pretty standard on most travel packs. The frame sheet is somewhat flexible and offers a good amount of support—however, if you want something a bit more substantial, we’d recommend going for the Kydex mod. Yeah, we’re getting into modding backpacks. Hold on to your hats. Basically, what we’re talking about is putting a thicker frame sheet in here than the one that comes standard with the pack. For the #DIY’ers out there, you can buy a sheet of Kydex on your own and cut it to size. But if that doesn’t sound like a lovely afternoon activity to you, you can also head over to Ruck Customs and buy a custom-sized frame sheet. They make frame sheets for all the different GORUCK pack sizes, and they’re pretty freakin’ awesome. They’re basically just stiffer sheets that offer a bit more structure to improve the carry of your pack. We’d recommend checking them out if this is something you’re interested in. As far as function goes, we think this pack functions a lot better with the stiffer Kydex frame sheet—but ultimately, it’s totally personal preference. If it’s feeling a little flimsy, you might want to go with that upgrade. But even without it, it’s still not too bad. We should also mention that although this is a laptop compartment, it’s also optimized for GORUCK’s Ruck Plates. 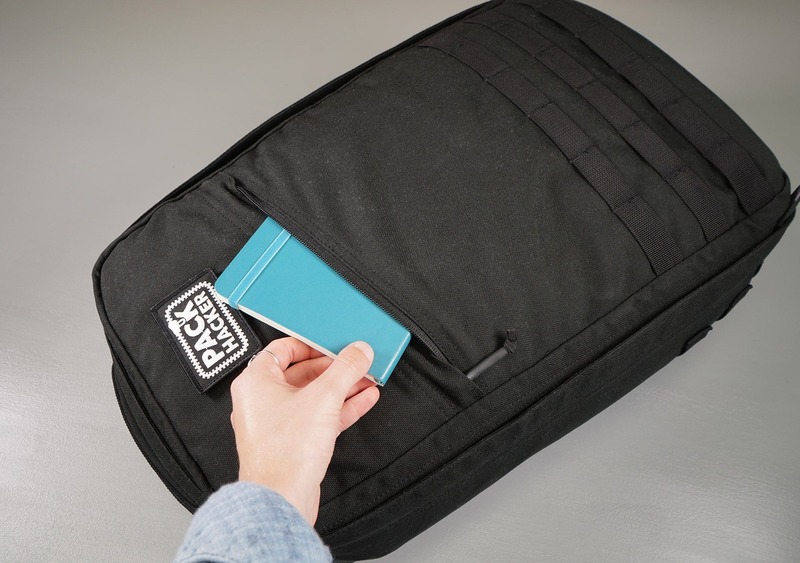 So, if you are participating in any of their rucking events—or if you’re just into lugging around a ridiculously heavy pack—this pocket is optimized for holding those weight plates. On the front, there’s a slash pocket which goes down the entire length of the pack. This is good for smaller, flatter items—however, if the main compartment is completely full it can be difficult to utilize this pocket. It’s not a super great quick-grab pocket either, because it goes down so far. It can actually be a bit tricky to get smaller items out if they’re wedged down at the bottom. We would have preferred this pocket to be a bit shallower so it could function better as a quick-grab pocket, but your mileage may vary. 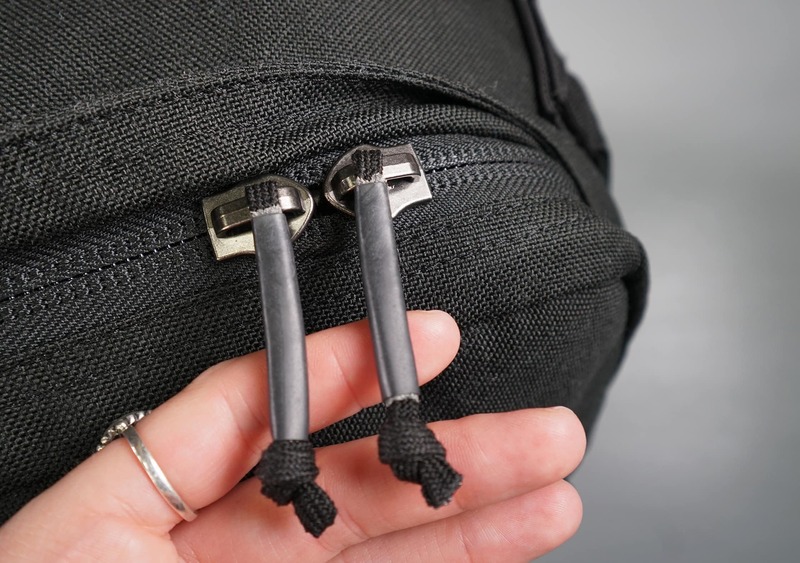 Now, before we dive into the main compartment, we should briefly mention the GORUCK silent zipper pulls. These are made of heat-shrunk paracord, so you don’t get any of the jangling metal that you might get with zippers on other packs. We see this as a huge bonus and we’ve really enjoyed them on the other GORUCK packs we’ve tested. It’s just nice to know you’re making as little noise as possible when you’re, say, walking into a hostel late at night or moving through a library. (Some of those librarians are not messing around.) Plus, they’re pretty nice zipper pulls. They’re nice to grab. The main compartment is basically a giant bucket. There is a lot of space to put pouches or additional organization systems, and you can kind of customize this area as you see fit—which we really like. 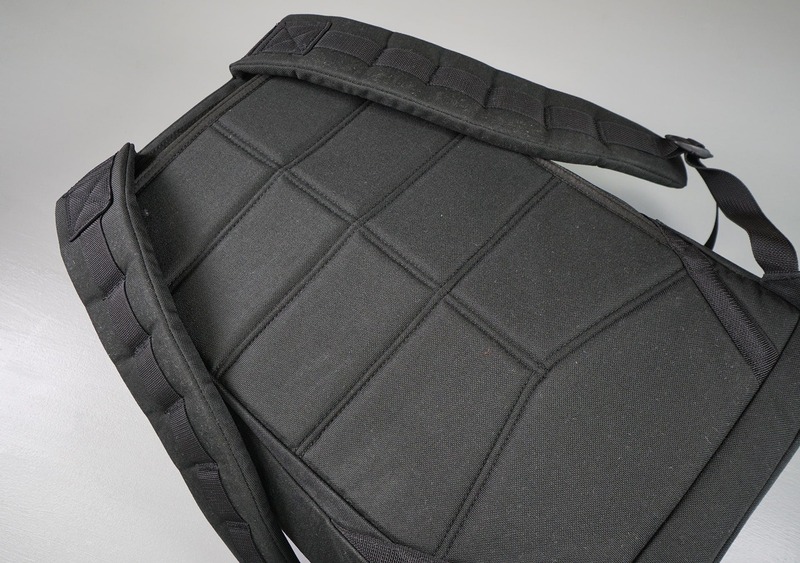 There are three rows with six MOLLE loops on the interior, and it’s important to note that the side loops of this MOLLE are a bit shorter, to account for the smaller space on the interior. 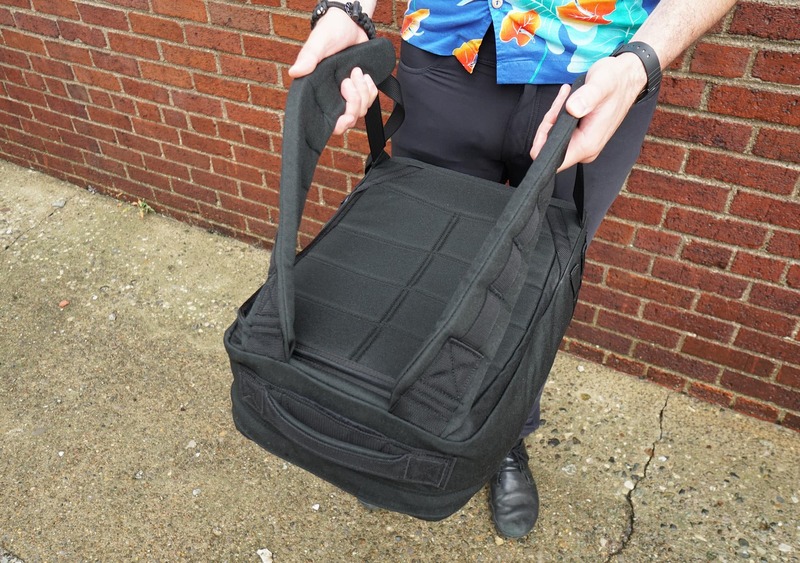 In addition to the MOLLE, there is a 2/3 stretch pocket on the inside which is great for flatter/longer items, another ruck plate, or maybe even a second laptop if you’re a badass programmer that can’t live with just one. There is a flat pocket below that can also be used to hold a water bladder, with a velcro pocket that you can use to thread the hose through on top. We should also note that there’s really no attachment at the top for your water bladder hose, but since it’s lined with MOLLE you can easily rig up a system with a carabiner or something else. That’s the beauty of MOLLE, after all—it’s highly customizable and you can do whatever you see fit with it based on your carrying needs. Below that pocket there is a 2/3 mesh pocket, which is nice because you can see what’s going on inside. These are ever so slightly gusseted on the side, so you do have a little bit of give in the space, but they are really ideal for flatter items. Overall, GORUCK packs are optimized for people that like pouches or customizing the interior of their bags for themselves. If you want some inspiration on how to do that, there are a few good Facebook groups that can help. There’s The Perfect Pack Carryology Classified, to start. There, you’ll find a lot of GORUCK load outs and a lot of inspiration. 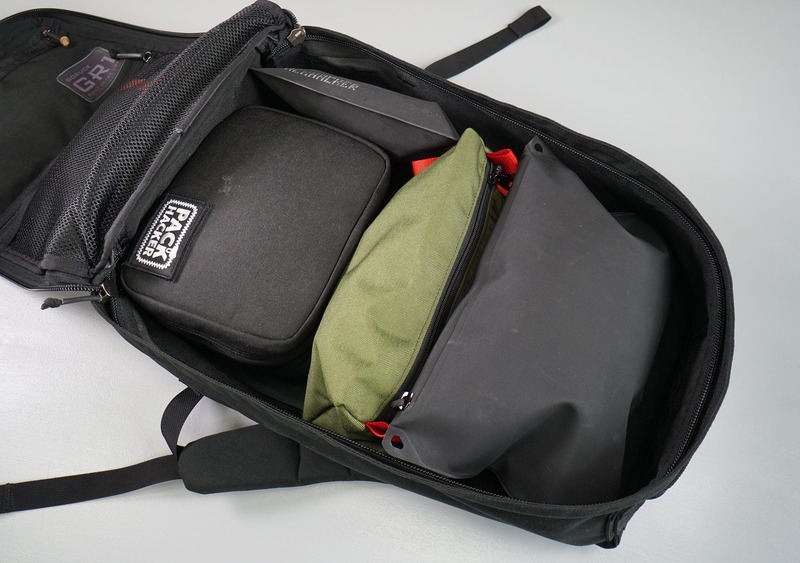 At the time of this review, we’ve been testing the GORUCK GR1 for about a week. However, we’ve been testing the GR2 for nearly two years of perpetual travel and we feel that this bag will follow in its footsteps. Outside of a couple loose threads and some fading to the black color, it has held up really well overall. But we do have one caveat here. All of this quality, durability, and support comes at a steep price. The GR1 comes in right under 400 bucks at the time of this review. We rarely bring up prices in our reviews, since we’ll always pay for quality, but GORUCK has recently increased the pricing of a lot of their products, and we just felt like we couldn’t not bring it up. These bags tend to be the most expensive products we test. If you’re just interested in getting a streamlined bag—and probably switching it out in a year or two for a change of pace—this is probably not the bag for you. However, if you want one pack for the rest of your life, this could be an excellent choice. The quality is definitely there with GORUCK products. Looks great, can tell this thing is built to last. The shoulder straps are a bit stiff, though. We tested the GR2 for nearly 2 years and predict this will follow suit durability-wise. The straps are breaking in more. Another GORUCK pack, another solid experience. The GR1 is a solid, tactical, tanky pack that should hold up to anything you might be able to throw at it. It doesn’t have a ton of bells and whistles, and the design is pretty standard—but that’s the beauty of it. It’s a solid pack backed by a great brand that will stay by your side for years to come. That being said, it could be on the heavy side for any ultralight travelers out there and the high price point might be a deterrent for some.